Cyprus is famous for its medieval bridges, but the ones that hog the limelight are the Kelefos bridge and the Elia Bridge. 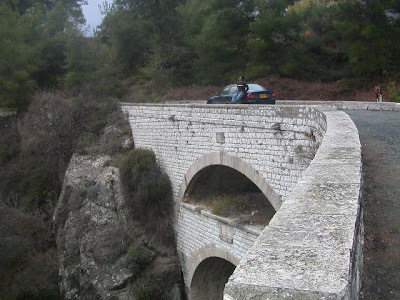 There are many more bridges in Cyprus but they rarely fall into the itinerary of a tourist. 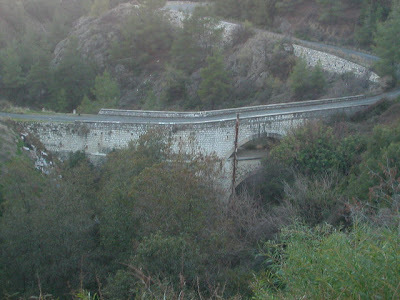 One such bridge is the one found in Trimiklini Village on the way to Troodos. This is unique considering the fact that this is the only double bridge in Cyprus. Ages ago, there used to be traffic along both the layers of the bridge, but now only the top section is accessible through a road which runs on it. 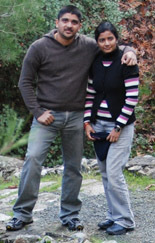 Many years back, we went in search of this bridge. We knew that it was in Trimiklini, but didn’t know the exact location. Since i didn’t have a photo of the bridge, i couldn’t get much help from the locals either. So, we started off by venturing into every paved exit branching off from the main road near Trimiklini. We also found a old stone bridge running over a stream and even concluded that this was the one! Finally after many wrong turns, we found the right one and drove right to the bridge. It looks quite good with the greenery around. On tracing the stream across the valley floor, we found that the old stone bridge also lies on the same stream. 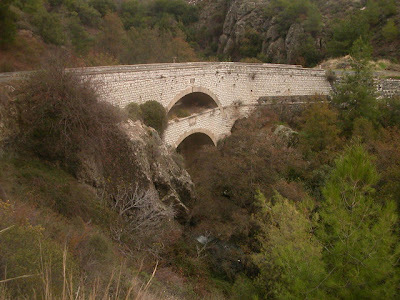 So, how do you get to the Double bridge in Trimiklini? 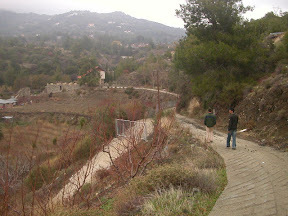 If you are going from Limassol, take the road to Troodos from the highway. In this village, you will also find a shop advertising a “Waterfall”. Don’t go to this. This “waterfall” is just the trickling water from the kitchen probably. He even used to charge 1 pound for this sometime back. Just after the village, you will come across a small road bridge. If you stick (you or the car) close to the shoulder on the left of the bridge, you should get the view below. If you reach the junction where the road on the left goes to Omodhos/Mandria and the road on the right goes to Saittas, you have crossed the exit to Trimiklini. Actually, the exit to the bridge is a very small lane to the left of the road just before the road bridge mentioned before. It won’t cost you much to reach the road bridge, look out and say “Ah, there is the bridge” and reverse a bit to take the first left you come across. This is much safer than me trying to tell you instructions to find the exact lane to take! After you finish seeing the bridge, you might ask “So, where is this stream coming from?”. To answer this, all you have to do is come out onto the main road, cross the road bridge and then park to the right (there is an open parking space next to/in front of a restaurant). 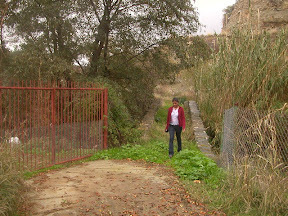 By the side of the restaurant, you will see a narrow path heading towards what looks like a dam. Yes, it is a dam, one built across the same stream. 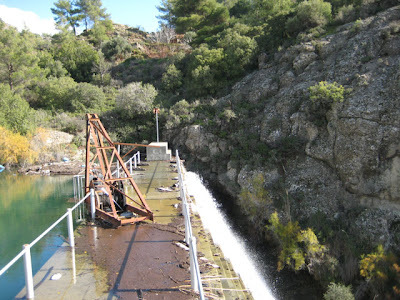 This was how the stream looked like 4 years back, just before the best rainy season Cyprus had for a long long time. 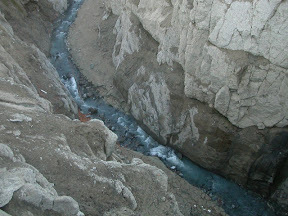 It was a very deep valley with just a trickle of water flowing at the bottom. We had even thought of carrying out a trekking expedition to the bottom of the river at that time. This is how it looks now. 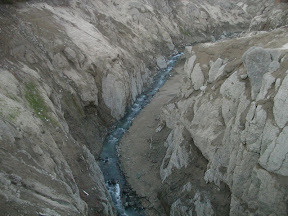 Yes, it is the same stream. So full that it even overflows across the dam. Now, our thoughts were like “This would make a nice place to try kayaking”! Don’t forget to visit this place when you got to Trimiklini. Perapedi dam is also close-by, but that would be part of another post! Wow! I am travelling to Cyprus next week and am inspired and excited to explore after reading about your adventures and seeing your amazing photographs. Thank you! nice story, But unfortunately its main facts are totally wrong.the actual medieval bridge is the old small stone made one,the double layered one was made by the British during the British ruling of the island between 1878-1959.
and also the dam is full all summer long in winter they open the water gates to let the water run to the larger alassa dam,the stream (kouris river) is the only stream that never goes dry. Are you sure that there would be traffic on both layers at an earlier date? Doesnt look like it. 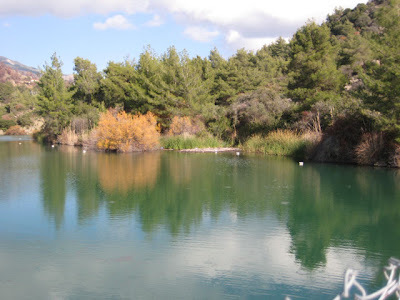 Have just visited this and other sites in Cyprus following your very interesting and informative blog! !